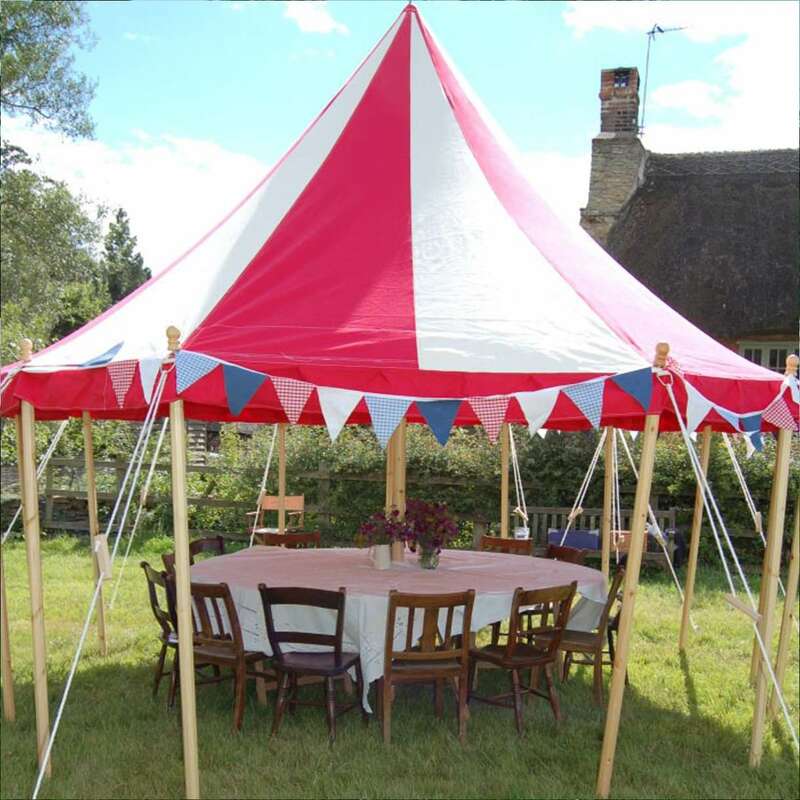 We specialise in the hiring of traditional party tents within Oxfordshire and the surrounding counties. 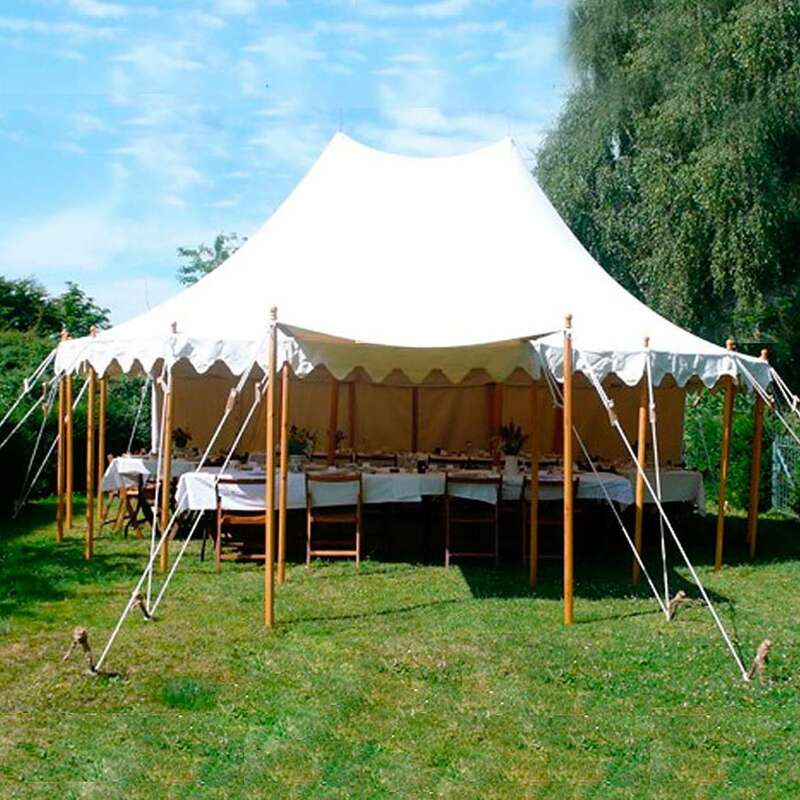 Our tents are handmade in Cornwall with wooden poles and canvas awnings. They are available with or without walls. 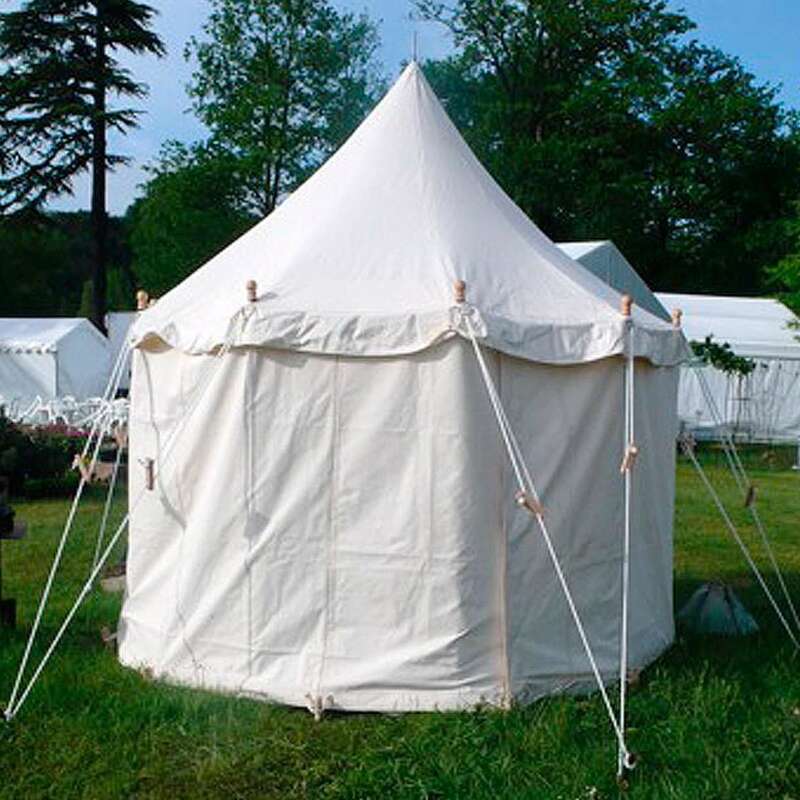 Elegant oval tent 5.4m x 7.3m with canvas top and walls, pretty scalloped valance and entrance awning. Optional trestle tables and old chairs for a larger party (seats 44). Fantastic 4.6m circular red and white tent with canvas top and walls, perfect for lunch with optional circular table and old chairs (seats 16). Tiny 3m circular tent with canvas top, perfect if you love our tents but don’t have much space. Our prices cover a period of 24 hours and include delivery within 30 miles of Little Haseley, erection and dismantling of the tent. For hire further away check out our delivery rates.